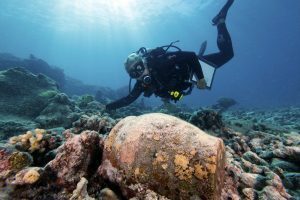 WASHINGTON — President Barack Obama on Friday expanded a national monument off the coast of Hawaii, creating a safe zone for tuna, sea turtles and thousands of other species in what will be the world’s largest marine protected area. Obama’s proclamation quadrupled in size a monument originally created by President George W. Bush in 2006. The Papahanaumokuakea Marine National Monument will contain some 582,578 square miles, more than twice the size of Texas. The regional council that manages U.S. waters in the Pacific Islands voiced disappointment with Obama’s decision, saying it “serves a political legacy” rather than a conservation benefit. The White House said the expansion is a response to a proposal from Democratic Sen. Brian Schatz and prominent Native Hawaiian leaders. The federal government will also give Hawaii’s Department of Natural Resources and Office of Hawaiian Affairs a greater role in managing the monument, an arrangement requested by Schatz and Gov. David Ige.